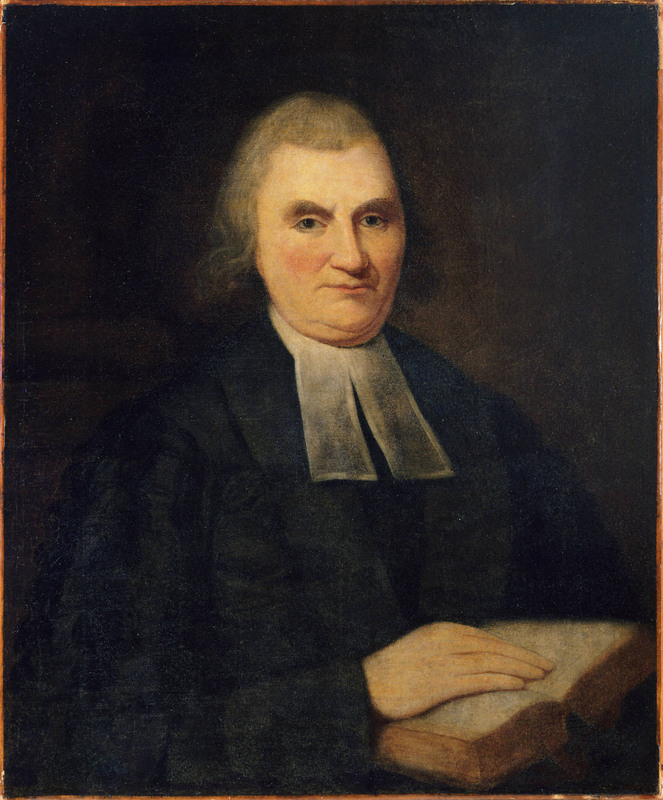 John Witherspoon and Samuel Stanhope Smith’s curriculum emphasized Scottish moral philosophy, providing early Princeton students with a new philosophical framework for opposing slavery even as pro-slavery apologists used the same philosophical concepts to defend the practice of owning slaves. The College of New Jersey’s founders originally intended to establish a religious school, an institution to train future ministers of the British North American colonies. Many of the school’s early presidents and faculty members were themselves Presbyterian ministers. Consequently—as with most colleges of the time—moral philosophy stood at the core of Princeton’s curriculum. In the mid-18th century, Princeton’s trustees recruited a prominent Scottish Enlightenment philosopher to serve as the college’s fifth president: John Witherspoon. From 1768 to his death in 1794, Witherspoon expanded the college’s curriculum beyond religious training, increased the rigor of Princeton’s admission requirements, and made moral philosophy the cornerstone of the college’s curriculum. Witherspoon’s course covered topics such as human nature and the nature of evil and included subjects that would eventually influence the development of fields such as economics, sociology, and anthropology, among many others. Perhaps most significantly for the history of anti-slavery thought in early America, Witherspoon defined moral evil as the infliction of unnecessary pain—an idea abolitionists applied to slavery. Over the course of his career, Witherspoon laid the groundwork for future Princeton students to debate the morality of slavery in an academically rigorous environment. 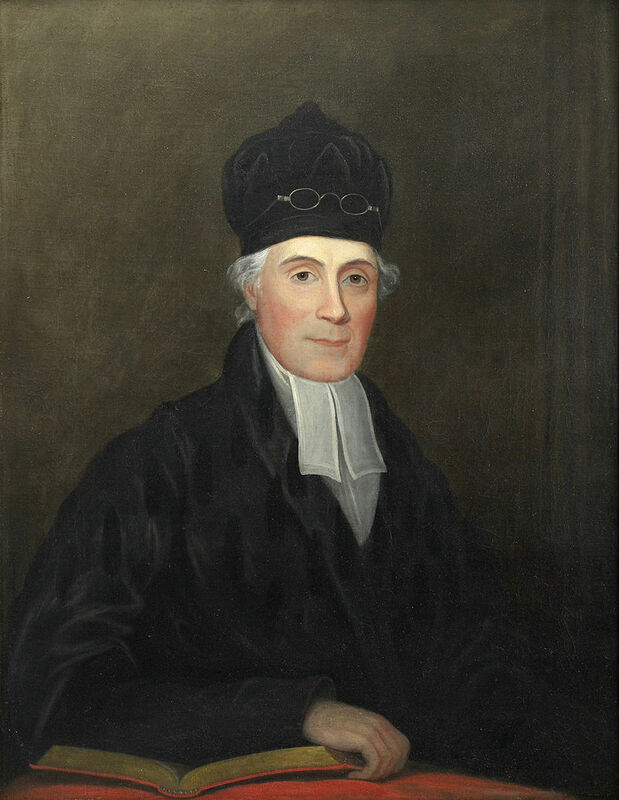 Samuel Stanhope Smith, a former student of Witherspoon’s, succeeded him as president in 1795. Smith expanded upon Witherspoon’s changes to the moral philosophy curriculum to include the works of Scottish philosophers Adam Smith and David Hume. Smith emphasized human benevolence and sympathy as the foundation of all morality, providing Princeton students with a new language for challenging slavery. Scottish Enlightenment philosophers’ emphasis on the use of controlled human passions (such as benevolence and sympathy) as tools to enact moral good broke with previous conceptions of human passion as the root of evil. Anti-slavery philosophers argued that the chains binding slaves mirrored the ways in which masters were chained to their uncontrolled passions. To these philosophers, the cruelty enslaved people suffered demonstrated the moral breakdown of society. As Samuel Stanhope Smith lectured to his students in 1809, a person "under the influence of passion" was not "properly master of himself." Though Scottish moral philosophy offered new definitions of cruelty, benevolence, and human passion, the ambiguity of these broad philosophical concepts meant that slavery’s apologists could wield them as well as anti-slavery advocates. For some Princeton students, moral philosophy exalted the importance of benevolence, sympathy, and moderate passions, thereby framing slavery’s cruelty as a moral danger to American society. But others, especially those from Southern states and slave-owning families, used the concept of cruelty to argue that masters’ economic interests actually provided for and protected enslaved people—in turn framing slave-owners as benevolent. Both groups, notably, centered their arguments around the moral responsibility of white Americans rather than the moral rights of the enslaved. This emphasis on the actions of slave-owners led them to focus on ameliorating the conditions of slavery instead of ending the institution immediately—as evidenced in the college’s 1792 commencement exercises. At commencement that year, students debated whether it was in fact inhumane to abolish slavery without first preparing slaves for freedom. New Jersey’s state legislators shared Princeton faculty and students’ view that the immediate abolition of enslaved people would be irresponsible, and enshrined it in the state’s 1804 gradual emancipation act. The 1804 statute and subsequent laws freed children born after 1804 but offered them a freedom of a very limited sort: women born to enslaved mothers after July 4, 1804 had to serve their mothers’ owners until they were twenty-one, and men could not be freed until the age of twenty-five. After 1846, enslaved people born before these laws were passed were legally considered indentured servants apprenticed to their masters for life. In 1812, Samuel Stanhope Smith delivered a series of lectures addressing slavery’s compatibility with moral philosophy. Posed as a series of questions and responses, Stanhope raised questions such as “Is slavery on any ground consistent with the natural laws of justice and humanity?” or “Is that slavery which was unjust in its origin, equally unjust in it continuance?” His responses to these questions reveal the ways the Scottish moral philosophy as taught at Princeton shaped ongoing debates over slavery. Smith concluded that, if practiced by benevolent masters, slavery in and of itself was not immoral; but that the slave trade, and especially abusive and cruel masters, were indeed immoral. Smith also argued forcefully against instant and complete emancipation as “a worse evil than their servitude.” Instead, he proposed that other states follow New Jersey’s example and enact gradual emancipation laws while in the meantime easing the labor required of slaves in order to teach them how to labor for themselves. Concluding that free blacks could never live with white Americans on terms of equality, Smith believed that the United States government should set aside a large swathe of “unappropriated land” on which freed slaves could settle. According to Smith, this would avoid the “supercilious contempt of the whites,” whose prejudices would “render it impossible to amalgamate the two races.” Smith pleaded with masters to treat their slaves humanely and closed his lectures with an ominous warning: if white Americans did not free their slaves soon, slavery would serve to produce many moral and political evils. Slavery, Smith said, was “a volcano which sleeps for a time only to burst at last upon the unsuspecting tranquility of the country with a more terrible destruction.” Lectures like Smith’s shaped the intellectual climate on campus, influencing the group of Princeton alumni who founded the American Colonization Society in 1816. But while Smith’s viewpoints seem conservative today, his contemporaries viewed him as a radical—leading to his forced resignation from the presidency at the start of the 1812-1813 academic year. The composition of Princeton’s student body also affected students’ varied viewpoints on the issue of slavery. At the time, Princeton had more Southern-born students than any other college in the Northeast: from 1781 to the start of the Civil War, Southerners regularly comprised more than 50% of the total number of students, and exceeded 60% in 1790, 1805, 1821, and 1851. Proslavery interpretations of moral philosophy resonated with these students, reaching the pages of campus journals and newspapers. In 1843, one student denounced British abolitionists’ “flood of simulated tears” and “affectation of high-wrought sensibility” over slavery; in 1851, another expressed his disbelief that abolitionists were “prompted only by their sympathy for blacks.” In contrast, one student in 1847 argued that benevolence towards one’s slaves was not enough to establish morality, as false benevolence showed “the most tender regard for humanity [while] it cared not a whit for the man.” Another argued in 1848 that there could be no true sympathy in a society in which some “live, and sport, and trifle, on what others have produced with toil and pain. Princeton’s moral philosophy curriculum played an important role in forming early American understandings of human rights, good and evil, and the nature of slavery. On campus, students’ debates over slavery—based on differing understandings of Princeton’s curriculum—both mirrored and influenced discussions taking place across the country. Margaret Abruzzo, “‘A Humane Master – An Oblidging Neighbor – A True Philanthropist’: Slavery, Cruelty, and Moral Philosophy,” Princeton University Library Chronicle, no. 66 (Spring 2005), 496. “Passion,” Nassau Monthly 6, no. 1 (September 1846): 24; Abruzzo, “‘A Humane Master – An Oblidging Neighbor – A True Philanthropist’” 503. Abruzzo, “‘A Humane Master – An Oblidging Neighbor – A True Philanthropist,’” 504. Faculty Minutes, July 23, 1792; Office of the Dean of the Faculty Records (AC118), vol. 1 (1787-1810); Abruzzo, “‘A Humane Master – An Oblidging Neighbor – A True Philanthropist,’” 505. See also: Samuel Stanhope Smith, The Lectures, Corrected and Improved, Which Have Been Delivered for a Series of Years, in the College of New Jersey; on the Subjects of Moral and Political Philosophy, vol. 2 (Trenton, NJ: Daniel Fenton, 1812), 171. “An Act to Abolish Slavery” (18 April 1846), New Jersey Digital Legal Library, accessed March 21, 2017, http://njlegallib.rutgers.edu/slavery/bibliog.html. Smith, The Lectures, Corrected and Improved, Which Have Been Delivered for a Series of Years, in the College of New Jersey, 2:166. “Student Origins Database,” Princeton and Slavery Project, (Princeton University, 2016). Abruzzo, “‘A Humane Master – An Oblidging Neighbor – A True Philanthropist,’” 509; J. Townley Crane, “English Strictures on American Slavery,” Nassau Monthly 2, no. 7 (June 1843), 213; “Systems of Reform,” Nassau Literary Magazine 10, no. 6 (April 1851), 191. L. K. T., “Universal Benevolence,” Nassau Literary Magazine 7, no. 1 (September 1847); Abruzzo, Abruzzo, “‘A Humane Master – An Oblidging Neighbor – A True Philanthropist,’” 510. “Social Reform,” Nassau Literary Magazine 3, no. 1 (September 1848): 4; Abruzzo, Abruzzo, “‘A Humane Master – An Oblidging Neighbor – A True Philanthropist,’” 510.